An estimated 2,021 of those Medals of Honor have gone to Irish American recipients. 19 men have so far been awarded the medal twice, and of these, five were born in Ireland. 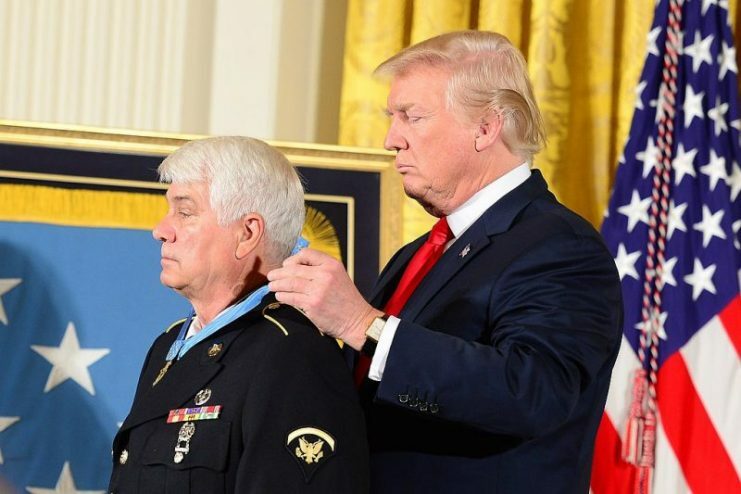 On July 31, 2017, during a concise but poignant White House ceremony, President Donald Trump hosted the first Medal of Honor presentation of his administration. 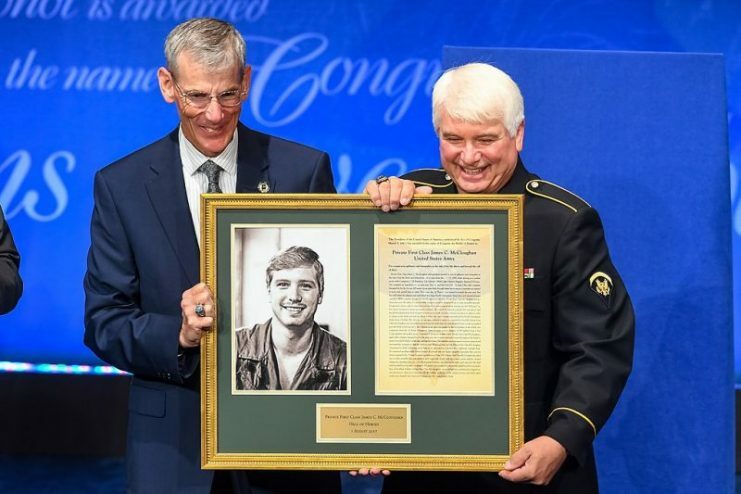 It was in this event that the most recent Irish American to receive America’s most prestigious military decoration emerged. 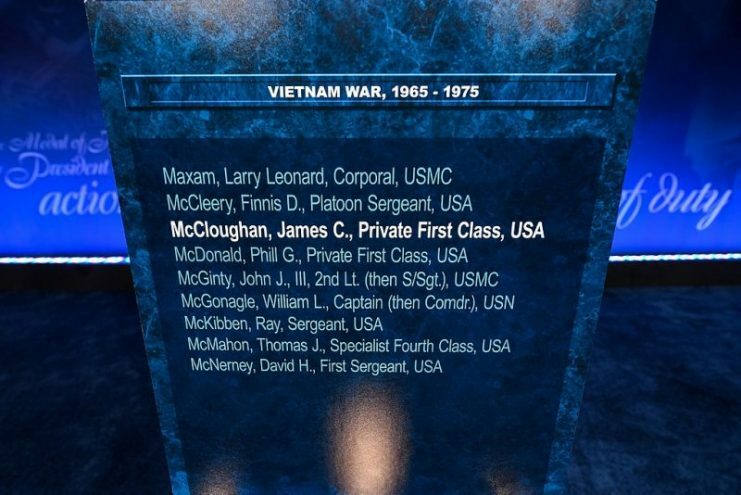 James C. McCloughan, aged 73 and a retired high school teacher, received the Medal of Honor for “acts of gallantry and intrepidity at the risk of his life above and beyond the call of duty” as an Army medic 48 years earlier near Tam Ky and Nui Yon Hill during the Vietnam War. 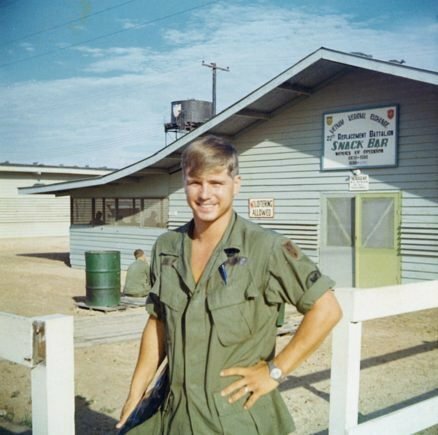 During the 48 hour period of close combat, then-23 year old McCloughan repeatedly jumped into the rain of gunfire to save his comrades, getting injured on numerous occasions, and ignoring direct orders to stop going into the Kill Zone. With his recognition and award, McCloughan did not become simply the latest Irish American to receive the Medal. His award also drew attention to one of the fascinating facts about the Medal of Honor: a disproportionate number of its recipients have Irish roots. 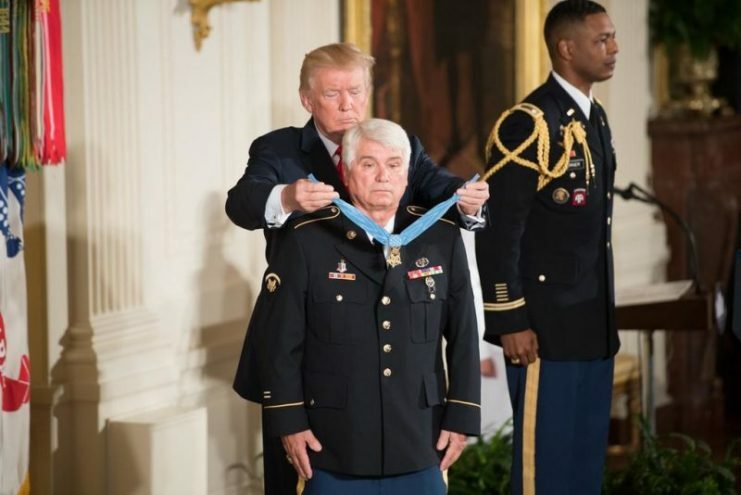 The most distinguished military honor of the United States of America, created during the Civil War and first awarded in 1863, the Medal of Honor has been awarded 3,525 times to date. Indeed, this is a rather minute percentage of the millions of people that have served the US in combat, and it illustrates how sparingly the Medal of Honor gets awarded. Out of this pint-sized percentage, an estimated 2,021 of those Medals of Honor have gone to Irish American recipients. That’s a staggering 57 percent. Although the award is only meant for personnel of the US Armed Forces, US citizenship is not always a prerequisite to serving in the US military. 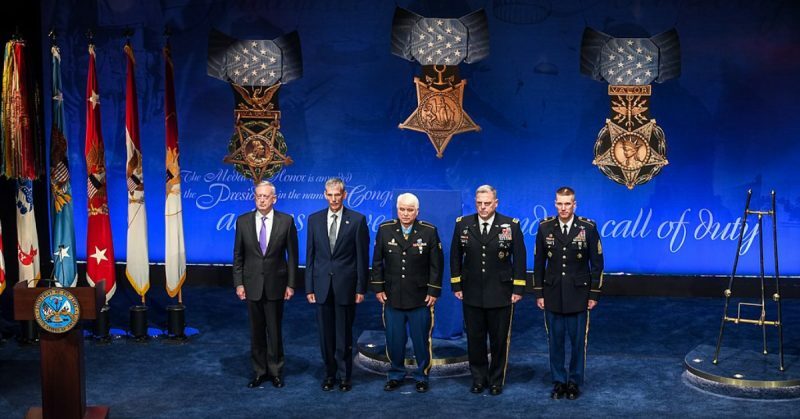 As a result, thirty-three countries are represented in over 500 foreign-born recipients of the Medal of Honor. This may not come so much as a surprise, but out of these foreign-born recipients, 257 are Irish-born, representing about half of the people in this category. Even better, 19 men have so far won the medal twice, and of these, five were born in Ireland: Henry Hogan, John Laverty, John Cooper, John King, and Patrick Mullen. Also among these 19 double medal recipients are three Irish Americans: Daniel Daly, John McCloy, and John Joseph Kelly. The first Irish American to receive the Medal of Honor was Private Michael Madden for his heroism during the Civil War. He swam with a wounded comrade, while under heavy enemy fire, to successfully take the injured soldier across to a branch of the Potomac to the safety of the Union lines. 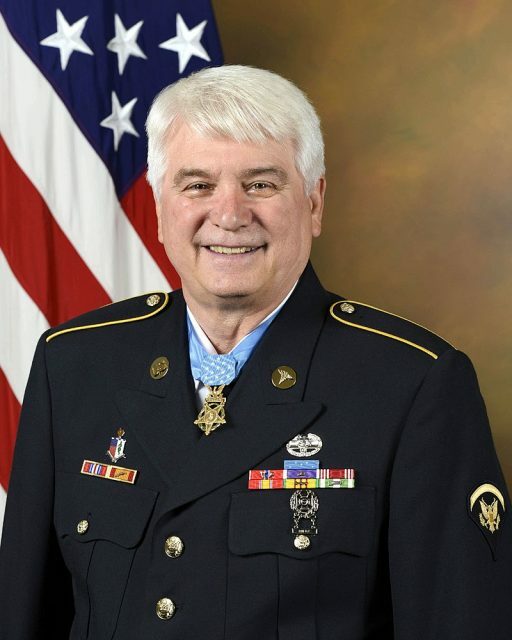 Undoubtedly, one of the most remarkable Irish recipients of the Medal of Honor is Michael Dougherty of Falcarragh in County Donegal, Ireland, who fought in the 13th Pennsylvania Cavalry of the Union Army during the Civil War. He received the Medal of Honor for leading a charge against a hidden Confederate detachment at Jefferson, Virginia, foiling what would have led to the flanking of the Union forces, and preventing a potential loss of about 2,500 lives. He managed to get aboard the steamship Sultana which had over 2,000 people aboard, six times its acceptable capacity. As the ship dragged on across the Mississippi, its boilers exploded and the ship was ripped apart, with its passengers getting flung into the river. Only 900 managed to survive the incident, and among these was Dougherty, who somehow managed to swim to a small island before help came. Amazed by his impeccable story of bravery and survival, John J. Concannon referred to him as “Super Survivor” Michael Dougherty in his article for the website The Wild Geese. Whether it is inherently Irish traits or just coincidence that explains why the Medal of Honor list is dominated by Irish blood, this fact has become something in which the Irish can’t help but revel. In a bid to explain why the Irish have dominated the Medal of Honor list, James McCloughan made reference to Irish history and culture. “If you go back to the culture of the Irish you know we’ve been fighting each other and fighting the Scottish and so on and so forth for years and years and years,” he said. According to him, his own family has a military history that dates all the way back to the Picts, who lived in Scotland in the early medieval period.